Very Rev. Msgr. 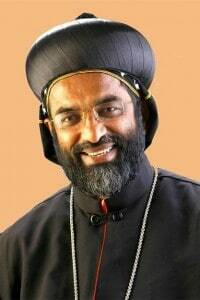 Varghese Mattamana belongs to the Eparchy of Bathery. He has Bachelors Degree in both Philosophy and Theology. 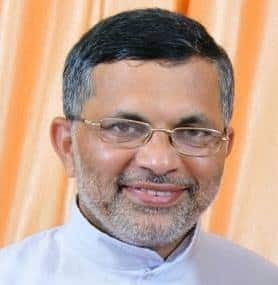 He did his Post Gradual studies in Sociology from Mysore University and in Management from Xavier Institute of Management, Bhubaneswar, specializing in Human Resource Management. He has 25 years of close association with the development sector. He is excellent at moderation, negotiation, communication and interpersonal skills. He has held prestigious offices like the Executive Director & Assistant Executive Director, Shreyas Social Service Centre, Bathery. Executive Director, Kerala Social Service Forum. Executive Director & Assistant Executive Director, Caritas India. Director Higher Education & Secretary, Synodal Commission for development Malankara Catholic Church. Coordinator General, Finance Director, Chancellor, Managing Director-Prachodana & P R O Malankara Catholic Church, ETRI. Now Most Rev. Msgr. Varghese Mattamana holds the Vicar General office of St. Ephrem Exarchate of Khadki. With his experience and dynamics he is helping the Exarchate to flourish and reach greater heights.